As we continue winding our way through the season, many of you are thinking about the home improvements that need to take place in your homes. But one home improvement that tends to be put off until the last-minute has to be changing out old carpeting. Why the procrastination? Most of the time it stems from not knowing how to buy carpet for their home. This is understandable, as the entire process can indeed be seen as a bit overwhelming. To address this challenge, I’ve decided to offer a round-up of articles along with one additional resource that I think will help to ease the burden of learning how to buy carpet for your home. Home Depot Carpet Installation: In an article dating back to April of this year, a reader asked what she needed to know about Home Depot carpet installation prices and whether or not it’s a good place to buy carpet. Pricing, expectations and other considerations were explained at length. There was also suggestion to the reader for them to be very proactive when dealing with a carpet order. This tip, is among one of the many considerations to remember when shopping around for new carpet for your home. From carpet type to carpet color, this article will prove helpful in offering some worthwhile carpet buying tips. 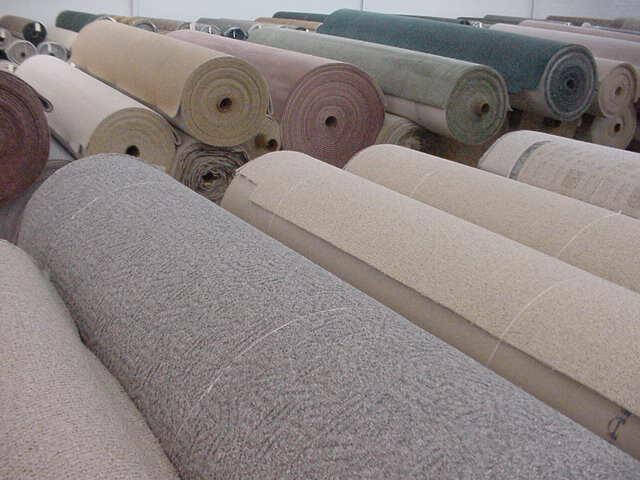 Great, general advice is offered to anyone wanting to get the basics of carpet shopping. By no means does this cover all of the bases, but it’s a pretty good place to start. Considerations explored include texture, style, color, padding, moisture barriers and stain resistance. A lot of things are missing here, actually. The underlying problem is no matter how much I attempt to cover in one or two articles, there’s bound to be something that will be missed. What is needed to handle situations such as learning to effectively buy carpet from home is using a guide that will ensure you’re doing the following. Tricks of the trade – You need to learn how to avoid common, misleading sales tactics used by some unscrupulous salespeople. There are factors you need to be aware of, in order to prevent being hosed for hundreds of dollars. Selecting the best carpet for YOUR needs – Despite offering some fantastic articles here at the Home Makeover Diva, there are going to be instances where you need to know how to handle very specific circumstances. I’d like to share an e-book with you that will not only prevent you from feeling “in the dark” when shopping for new carpet, it will ensure you aren’t being misled, sold the wrong kind of carpet/padding or other common issues you’ll find when carpet shopping. This e-book guide will show you step by step how to purchase the best carpet and padding for the best possible price. Unlike the salespeople you end up dealing with, the e-book’s author isn’t on commission. For a small one time purchase, you could end up saving yourself hundreds of dollars in carpet buying mistakes. Not buying this guide, is absolutely not using any commonsense. Don’t buy new carpet without getting all of the facts, first! The best part about using this guide is that it comes with a money back return policy. If you hate the advice offered, return it. And considering how much you’re about to spend on carpeting for your home, the tiny cost for this guide pays for itself instantly. After all, why gamble with the entire cost of a carpet install when you could very well save yourself from a terrible mistake with a cheap little e-book instead? Don’t go into a carpet emporium without getting all of the facts first. Remember, unless you’re already a flooring expert, buying carpeting without understanding the type of carpeting you’re actually going to end up with is simply unwise. Play it safe, read the articles linked above and please, use the resources that have been provided to you. Better to be safe, than sorry and by playing it safe, you’ve lost nothing.